Home > Automotive Belts > Automotive V-Belts, Auto XL V-Belts. 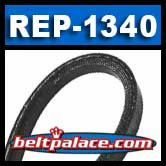 > REP-1340 Automotive V Belt. BANDO REP1340. REP-1340 Automotive V Belt. BANDO REP1340. REP-1340 Auto V Belt. HEAVY DUTY Metric Automotive V-belt. Metric REP-1340 Serpentine Belt. 1340mm Effective Length. BANDO USA Premium Series Automotive v-belts are designed to replace OEM belts on heavy-duty passenger car and truck applications. CLEARANCE PRICED WHILE SUPPLIES LAST! LIMITED AVAILABILITY. 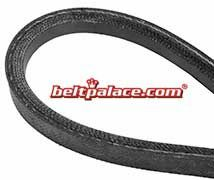 BANDO REP-1305 EPDM Automotive V-Belt. Metric REP-1305 Auto XL V-Belt.